Jun Senoue has released a second volume of his The Works series, appropriately titled The Works II. This second solo album by Senoue features a whole host of SEGA-related songs that include work on the Sonic the Hedgehog series, Out Run and Dengeki Bunko Fighting Climax. 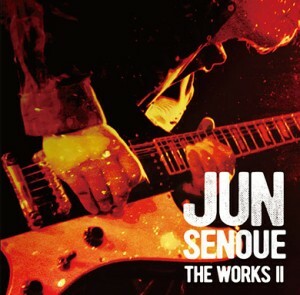 Jun Senoue’s The Works II is out now and available to buy from Amazon Japan. This entry was posted on Wednesday, February 24th, 2016 at 12:02	and is filed under Merchandise. You can follow any responses to this entry through the RSS 2.0 feed. Both comments and pings are currently closed.